Wed., Dec. 14, 2011, 9:23 a.m.
Lots of neighbors big and small, young and old, gathered at the Perry Street Cafe last night for the annual Christmas tree lighting. The cafe genorously hosted the event, serving coffee, hot chocolate and cookies for everyone. And Santa was busy having his picture taken. 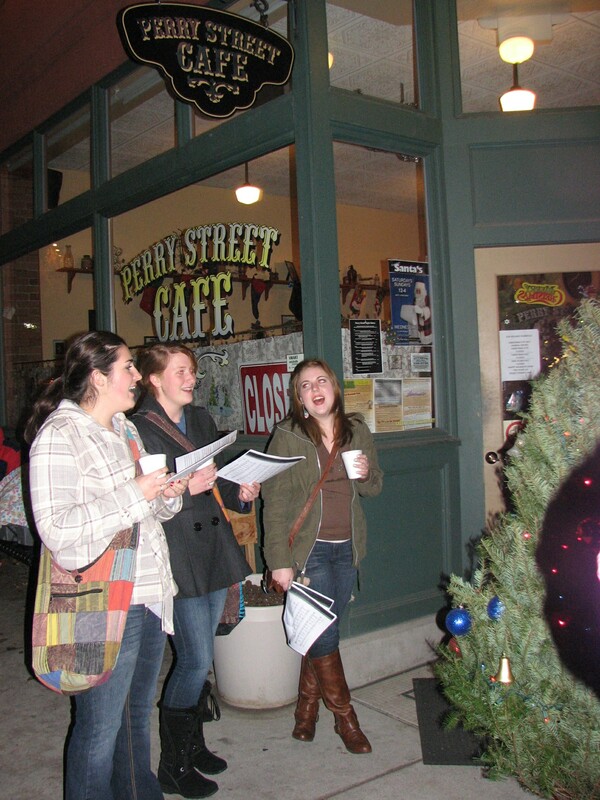 Once the indoor commotion had calmed down, people went outside to sing carols and put ornaments on the Christmas tree.